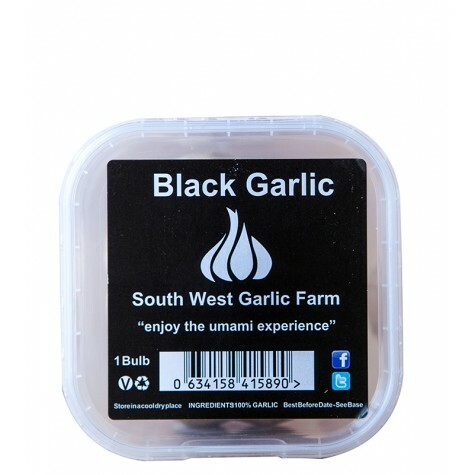 Whole black garlic bulbs, grown round the corner from us in Dorset. 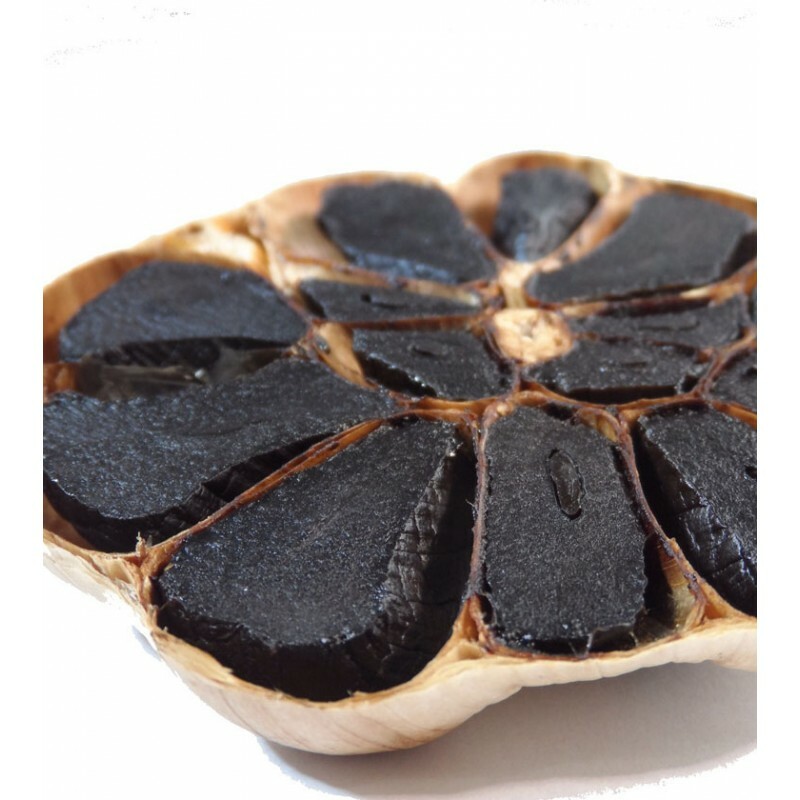 Black garlic is created when the amino acids and sugars react at a certain temperature and humidity, then it turns almost black, with a jelly‑like consistency. The taste is like fine balsamic vinegar with a slight smokiness and some citrus overtones. The process takes 50 days: 40 days in the fermentation room and 10 days very slowly drying out.